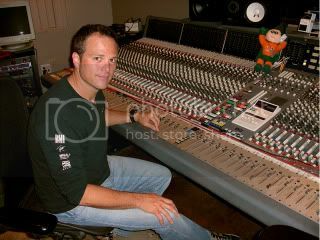 Producer/Engineer Paul Trust has worked with some of music’s brightest talents, including Ekotren, Diecast, Enstride, Endo, Crease, Al’s Not Well, Sunday Driver, Faces of March, and Hate Machine… to only name a few, and continues to look for exciting projects to offer his expertise in sound production. His diverse repertoire ranges from anything such as indie rock and metal, to R&B. for his loyal worldwide army of DEN HEADZ. Paul: I was born and raised in Merchantville NJ, a suburb of Philly. Rocket: Do you come from a big family? Paul: Small family. Spent a lot of time by myself listening to my 8-tracks or reading Tolkien. Rocket: When did you first get interested in rock music? Paul: I had been mesmerized by the radio for as long as I can remember. I would fall asleep to my radio every night and I also happened to have inherited a strange assortment of records ranging from The Stone “Hot Rocks”, Beatles “Let it Be’ and Doors “Morrison Hotel”. So it seems that rock has never not been a part of my life. Rocket: Who are some of your favorite heavy metal bands of today? Paul: My current top dog in Metal is Slipknot. Their combination of heaviness and melody amazes me. Rocket: Are you musically inclined? Meaning, do you play an instrument? Paul: I am a drummer although through the years and after music school I have picked up keyboards and some guitar, at least enough for writing purposes. Rocket: You graduated from the University of Miami School of Music Engineering. How much of what you learned there actually helps you in what you really do today as a successful producer? 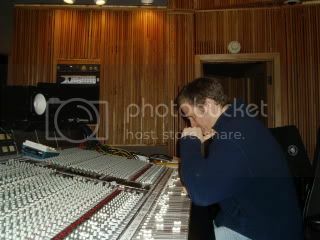 Paul: It’s funny, the classes that I thought were a waste of time like Orchestration and Music Theory seem to be used everyday but I can’t say that I use a whole lot of my Digital Signal Processing theory in the studio. Rocket: Do you remember your first rock show? Paul: This will date me. It was the Police “Ghost in the Machine” Tour with the Go Go’s opening at the Spectrum in Philly. Stewart Copeland is a badass. Rocket: Everyone knows you mainly from your success with Diecast. You produced 2001’s “Day of Reckoning”. Will you be doing more work with them? Paul: We actually have some new stuff in the works. Rocket: Who are some of the other bands you have worked with? 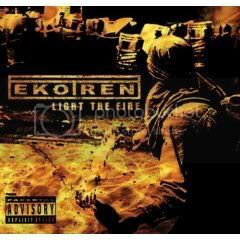 Rocket: You produced all of EkoTren’s albums (2 EP’s and 2008’s “Light The Fire”) Isn’t it amazing to watch them grow? I understand you worked with Sheldon’s vocals a lot on the last record, what can you tell us about that? Rocket: Are you going to work with EkoTren on their next album? Paul: I think so. We might have something in the works soon. Rocket: I notice you are working with Enstride out of Philly, who I had actually come across in 2007. Great guys and very talented. How has it been to work with them? Paul: Another good band and also for me it was a band that I could relate to personally, having grown up in the Philly area. Rocket: If you could produce any metal band in the world today, who would it be and why? Paul: Well by default (and they’re not really metal) I would say Rush. I would want to make the next Moving Pictures with them, but other than that fantasy, I think my real skill is working with the up and coming unknown bands. Rocket: What is your opinion of how ‘free downloading’ has drastically affected record sales in the 21st century? Paul: Time to get out the soap box. I think everyone needs to understand the long term ramifications of not paying for your music. The only way bands like Pink Floyd got to make 4 albums without a hit was because of the fact the labels were making money and could be more patient. Now if a band on a major doesn’t go gold it’s considered a failure and they’re dropped. So If you want to keep hearing disposable music, keep not paying for the music. Rocket: How do bands submit to hire you on as a producer? Paul: The easiest way is to go to PaulTrust.com and leave us a message. I’m always looking for new bands to work with. A lot of bands are afraid to contact a producer because they think they are too busy or too expensive. I’d recommend bands to take the time to reach out to me or whoever, you might be surprised with the outcome. If I hear something that connects with me we can try to find a way to make it happen. 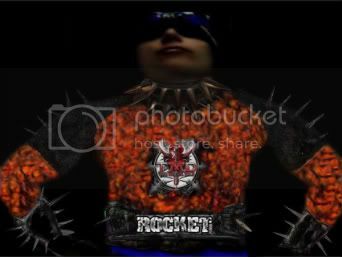 Rocket: You have a blog at your web site. I read the recent one about Kayaking and spotting dolphins. Does being outdoors help stimulate your creatively? Paul: Kayaking and biking are magical writing times for me. I think it’s the solitude matched with the rhythmn of the exertion. My best ideas always come from times like these. Rocket: Do you also go out and scout for young upcoming acts at shows or do you rely more on friends (in the biz) passing on stuff to you? Paul: When I can. Unfortunately my studio schedule prevents me from getting out much. If I’m out at a show it’s probably to support one of the bands I work with and then yes I try to catch as many other bands that night as possible. Rocket: What are some of the future projects you will be working on? Paul: Next on the slate is a band called The Chaos Agent. I think everyone is going to be blown away with these guys. I’m currently producing the Miami band Venejer. They really rock but have a great radio sense about them. Also finishing up Music Is a Weapon who I had worked with when they were Al’s Not Well (the first band I signed to my label Panacea). Their material is always by far the most eclectic and unique I’ve ever run across, and I think they have a major hit on their hands. Rocket: What do you see as the one main downfall with good bands actually not surviving in the biz? Paul: The industry is no longer setup to slowly develop and cultivate talent. So a good band is only measured by their immediate results. I don’t think many of the greatest bands of all time would have thrived in this scenario. Rocket: What is the one piece of advice you can give to a young person who dreams of making it in music as a member of a band or as a producer? Paul: Be prepared to work harder than the next guy and always be honest and treat people with respect. Try to capitilze on opportunity but don’t get caught in your own hype. Paul: I would love to have a studio in a beautiful remote location, say the islands, that bands could come and stay at to make our records. Hopefully there will be a lot of RIAA certified stuff hanging on the walls. Rocket: Thanks for rocking this out with me. Go ahead and give a shout out to all you friends and family. Paul: Thanks to Meaghan for listening to the same 3 seconds of music over and over and over, Eddie K. the next Doc McGhee, Bill Ray for great ears over the phone and Mom and Dad for believing in me to an almost embarassing level.